A partnership with St Paul's Church, Kalomo, Zambia was established in 2007. Click HERE to learn about how the partnership was formed.In August 2008 a delegation from Haywards Heath visited Kalomo. 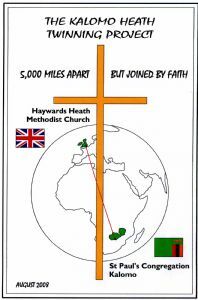 In May 2010 a return visit was paid by members of the Kalomo congregation to Haywards Heath. A further visit to Kalomo took place from the 30th August to 14th September 2014. Members of St Paul's visited us in May 2016. Photographs of the various visits can be seen in our Gallery. "It will be recalled that, 12 months ago, the Kalomo Support Group reported that the Partnership with St. Paul’s and its daughter churches was about to take a new initiative. The hope was that ten children of Primary School age, who were unable to find the fees necessary for their schooling, could be selected locally to receive bursaries which we, in Haywards Heath would finance. There was also the offer that we could offer a further education bursary for a local candidate of the ‘young adult’ generation. We were a little anxious that setting up such a programme would prove a lengthy process, bearing in mind the difficulty of choosing ten children from the many potentially eligible bursars, the need to make arrangements with their schools, the remitting of the necessary money to St. Paul’s bank account and the purchase of uniforms, books and school bags. In the event, the Rev. Given Bwalya and his church leaders moved with great expedition, and all the components of the programme were complete before the beginning of the school year in January. Then, just as schools were scheduled to open, Zambia was hit by a serious outbreak of cholera – principally on the Copperbelt – and all the country’s schools and universities were closed until a mass vaccination programme could be carried out. Happily, there were only a few cases in the Kalomo area, they have been dealt with and the schools have reopened. The choice of recipient for the ‘young adult’ bursary was, in some ways, surprising – but showed a sensible recognition of local considerations. The person selected was a single mother who is a member of the St. Paul’s congregation and has been accepted for a six months’ training course in Metal Fabrication and Welding at a Government Youth Training Centre. The skills learned should lead to useful employment in a country of many tin-roofed houses. It is hoped that, from time to time, we shall hear of good progress in their studies by all the bursars. With regret, the Rev. Given will not be providing such news, since he has been re-stationed in another town north of Kalomo. 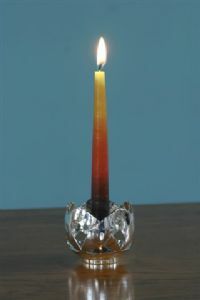 We understand that his successor (in June) will be the Rev. Mildred Siangandu." Read HERE for full information about our Partnership (some photos accompanying the presentation are to follow.